Hernias are a common ailment that many people experience in their lives. While the common hernia involving the intestines may ring a familiar tone, people may not know as much about paraesophageal hernias. Paraesophageal hernias occur when the stomach bulges into the chest through the diaphragm. 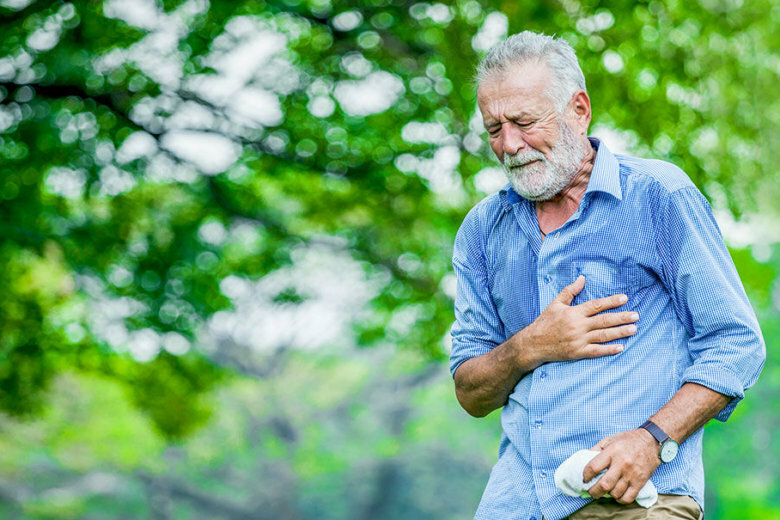 When this happens, people may develop symptoms such as acid reflux and bloating, said Dr. John Lazar, director of thoracic robotics at MedStar Washington Hospital Center. Less common is achalasia — the inability for the lower part of the esophagus that connects to stomach to open up all the way making it difficult for food to enter the stomach. While achalasia can be rare, paraesophageal hernias are much more recurrent with 10 to 15 percent of the population getting them, Dr. Lazar said. Often symptoms associated with paraesophageal hernias may not be experienced, and are only found when doctors perform tests, such as a CT scan, Dr. Lazar said. Paraesophageal hernias can happen to anyone, however they’re more likely to occur in people who have increased abdominal pressure such as those who are overweight or women who have had multiple babies. Patients who have a paraesophageal hernia can use antacids to neutralize minor stomach acid symptoms. However, “if you want definitive therapy for it, surgery is the only cure,” Dr. Lazar said. Minimally invasive robotic surgery can be a less painful option to repair the hernia and get patients out of the hospital faster. Patients go home anywhere between one to three days after the procedure, Dr. Lazar said. “In the old days, we would generally go through the left chest which was a very painful procedure. Now we are doing it minimally invasively through the abdomen, where there are less nerve endings and they are able to go home much sooner,” he said. It’s important to seek treatment if symptoms persist, Dr. Lazar noted. In some cases, the stomach can twist along the esophagus and cut off the blood supply, creating a surgical emergency. A lack of blood supply to the stomach can “be life or death in some cases,” he added. MedStar Washington Hospital center has a team of specialists in thoracic surgery and esophageal diseases. “Our passion is esophageal disease, whether it’s cancerous or non-cancerous, so therefore I think we have a lot of experience and knowledge in identifying esophageal disease and technically speaking we have dedicated our lives to perfecting it,” said Dr. Lazar. For more insights from Dr. Lazar, including his podcast on paraesophageal hernias, click here.